If you were asked about the Michigan football coaching staff, the names that would come to mind would of course be Jim Harbaugh, or perhaps defensive coordinator Don Brown. Maybe even new offensive coordinator Josh Gattis, who only recently took the job in what looks from the outside to be a somewhat strange lateral move from another blue blood program, Alabama. However, those aren’t the only faces on the coaching staff and if you aren’t paying close attention, you might even miss the fact that the team has recently made multiple changes lower down the ranks. All of these stories broke within the last couple of days, and are for relatively minor positions. 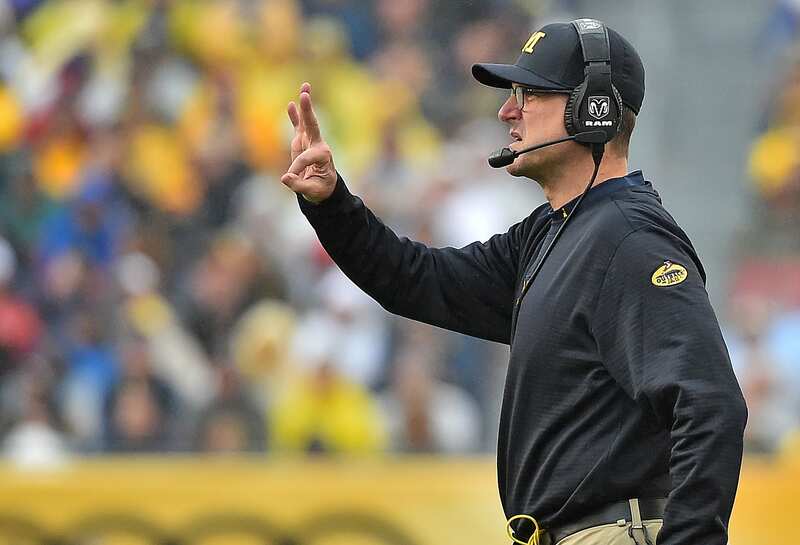 However, it shows the stature of the Michigan program when coaches who are currently working positions such as offensive coordinator for smaller schools will take a minor position just to make the move to Michigan. According to Bruce Feldman, the Wolverines are bringing in Ferris State offensive coordinator Steve Casula as an offensive analyst, with Casula having previous experience with offensive coordinator Josh Gattis at Western Michigan. Feldman has also reported that Bethune-Cookman special teams and recruiting coordinator Aashon Larkins is set to join the Wolverines staff as an analyst, but whether Larkins will be an analyst for special teams or for recruiting is unknown at this point. It seems that Michigan looked far and wide to find the candidates for their recent hires. Bethune-Cookman is an FCS school, while Ferris State isn’t a D1 school at all but rather a D2 one. The last of these minor hires is Pat Perles, the son of former Michigan State head coach George Perles, according to Field Yates. Perles will act as both an analyst and an assistant offensive line coach. Perles previously coached at Syracuse as an offensive line coach but also has NFL experience with the Kansas City Chiefs, which may help somewhat in running a professional style program in Michigan. This news comes after Michigan hired Josh Gattis as offensive coordinator last month, ensuring that things definitely won’t be the same when it comes to 2019’s coaching staff.